The Brick Castle: Transotype Drawing Light Table review - also handy for artists. 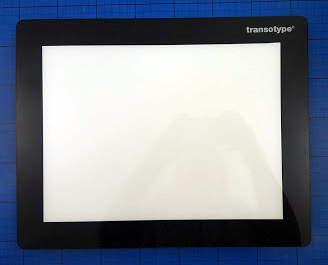 Transotype Drawing Light Table review - also handy for artists. If you have an artist in your house like we do, then you may have considered a light table before, but until we received the Transotype LED A4 Dimmable Drawing Light Table for review I actually had no idea how much fun they can be without lifting a pencil. The first thing we noticed while removing our drawing table from the box is how thin it is. LED's really do make a world of difference to a product like this because they're tiny and emit no heat. The controls and lighting fit behind the white section, with the thinner black surround, giving plenty of space for taping and raising the edge of your light table off the work surface. One of the next things to notice is that this drawing light table has a 2 pin European plug. This is 2015, most people have an adapter and if not they're very cheap to buy. The Transotype Drawing Light Table is easily dimmable by a 'wheel' switch on the cable, this gives a great range of light which can be varied in tiny increments. The specification for the light is 13.68 watt, 0.92kg, 4.500 lux. LED lights don't visibly flicker and therefore help prevent your eyes getting tired, annoyingly though, they still work on a wavelegth, so it's incredibly hard to take photo's. 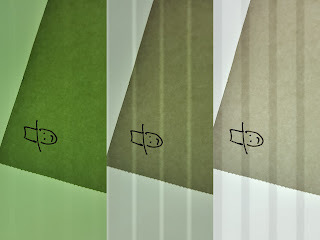 This is my best attempt at showing some variation in light level, which really goes very bright and will allow you to trace through quite thick paper or even some thin card. 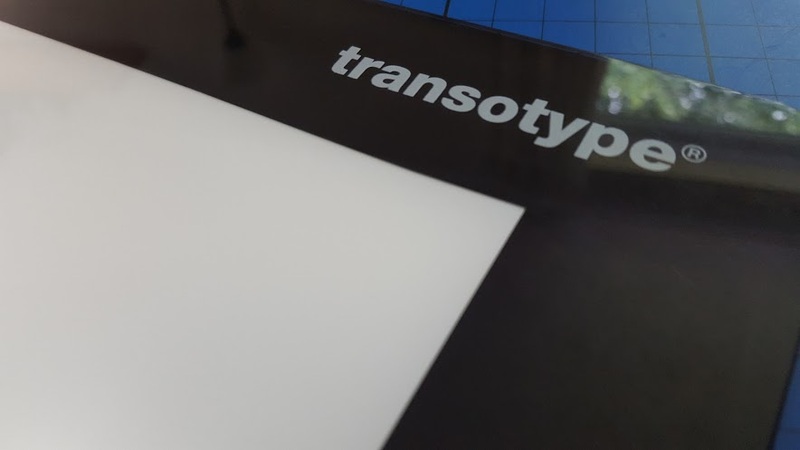 The Transotype LED A4 Dimmable Drawing Light Table which we used has an rrp of £129.95 and is currently on offer at £72 from Graphics Direct. 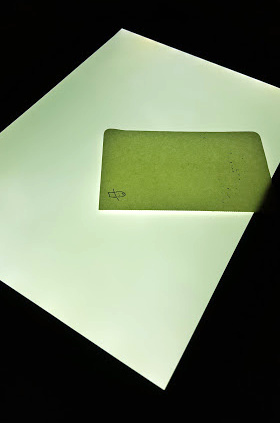 As I said at the start though, a drawing light table is not just for artists. A quick look at Pinterest or Google shows literally millions of ideas to try. My 5 year old loves any type of sensory play and loves playing with lights and torches. He thinks the light table is brilliant. He even plays over it as he would an ordinary table, but it adds a whole new dimension. 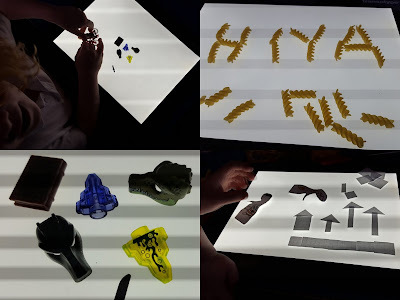 Toys look very different with a backlight, and toys which are transparent or translucent, or have 'holes' are really effective. My son loves watching a toy bicycle wheel turning above the light. If you have water beads, glass beads or coloured cellophane (plastic wrappers from chocolates), you can really explore colours and how they change when mixed together. Simple pasta became a really effective and fun way of practising letters and numbers and words. 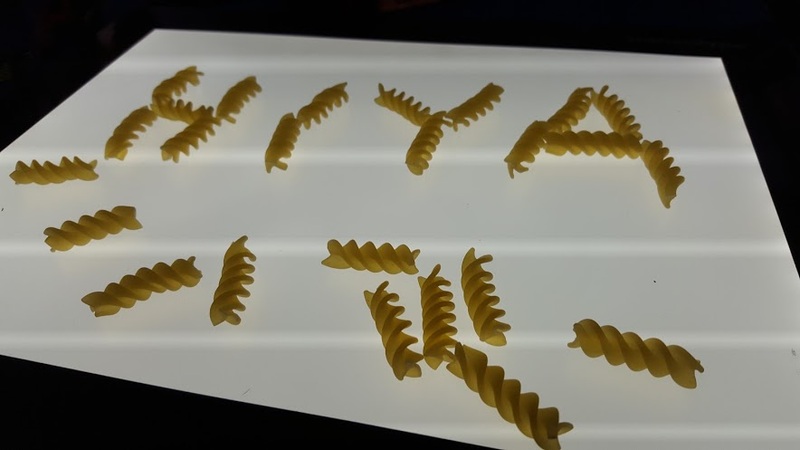 Macaroni, lentils and other household dried goods can all be used in this way. We tried cutting out puppets from black and patterned paper to make a show, but actually found it was just as much fun (and NO artistic skill required!) 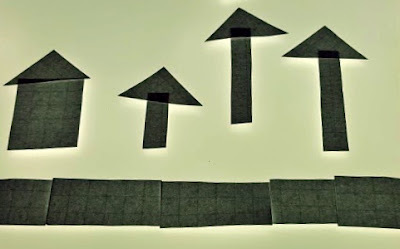 to make up a story using white paper cut into easy shapes - squares, rectangles and triangles. With the light the plain white paper becomes so much more exciting, as overlapping paper or leaving spaces between has a dramatic effect. My 7 year old especially enjoyed this activity, eventually making himself an entire town of white paper houses and trees. Limiting the shapes available also encourages children to problem-solve and use their creativity to work out how they will achieve their goal. There are some lovely light table ideas in this blog post by teach preschool.org. 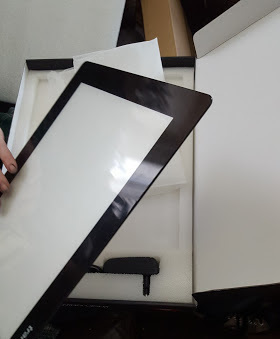 We were sent our Drawing Light Table for review, and will no doubt at some point actually let someone use it to draw!